In the Apulian plain, in the centre of the Salento peninsula, between the Ionian and the Adriatic sea, extends the territory of Copertino. On this red soil, vineyards and olive trees harmoniously alternate: century-old twisted trunks of olive trees often introduce the characteristic Apulian shrub-vines that produce this strong and generous wine. In 1935, thirty-six vine growers founded the Cantina Sociale of Copertino, with the aim of improving the cooperation and the production of their own vineyards and the trade of their wine. Today the cooperative numbers 300 proud members who confer their own harvest. The vine cultivated area extends to around 300 hectares, and all vineyards are meticulously treated with wisdom, result of tradition and innovation, obtaining excellent wines, able to arouse enthusiasm. 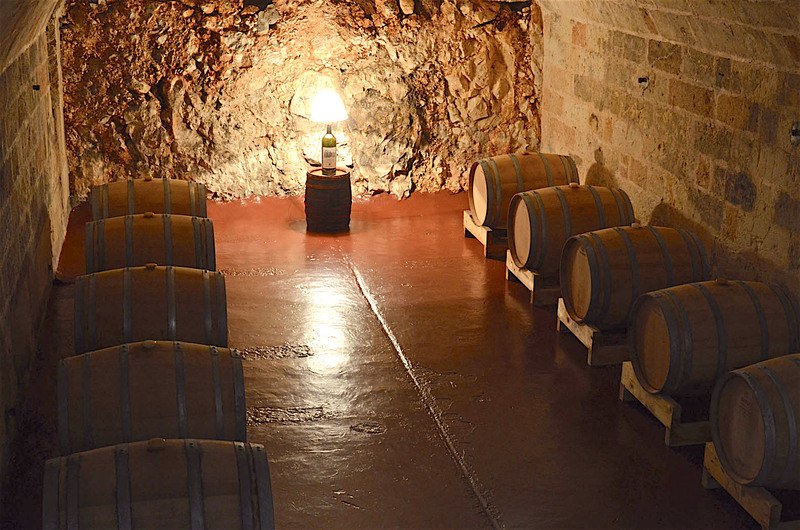 Cupertinum winery processes mainly traditional varieties: Negroamaro, enoic symbol of Salento, is the main one, and also Malvasia Nera, Primitivo, Malvasia Bianca as well as other varieties acclimated in this land. The territory of DOC Copertino has a clayish soil structure with a varying composition placed on top of the hard limestone or tufa, in a flat area: from 30 to 60 meters above sea level. In the cellar, during vinification and aging, the goal is to emphasize the character of the wine.These are the simple and rigorous secrets that give Cupertinum wines a distinguished personality thanks to captivating aromas, harmony, body and elegance.